KG Section celebrated Independence Day on 14th August (15th August being holiday for KG). Morning Assembly programme was conducted by the tiny tots followed by a patriotic song and speech by little ones. 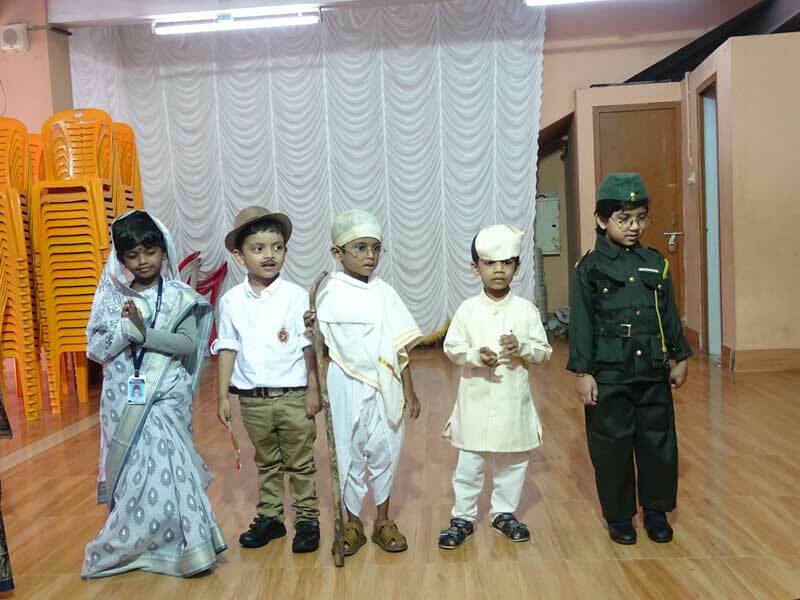 Some of the children came dressed up as National leaders.